“There are substantial grounds to believe he will fail to surrender,” said the judge, who fixed April 26 for next hearing. 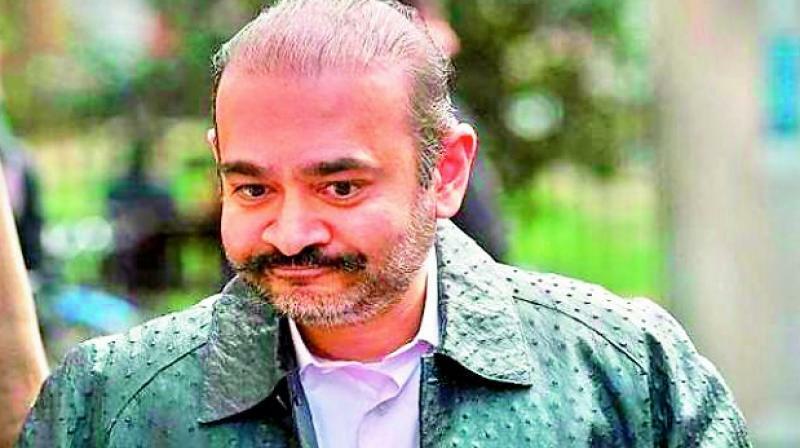 London: A UK court rejected Nirav Modi’s second bail application on Friday, saying there are “substantial grounds” to believe that the fugitive diamantaire will fail to surrender. Earlier, the Crown Prosecution Service told the UK court that Nirav should not be granted bail as he posed a significant flight risk and had even issued death threats to witnesses related to his case. Looking more dishevelled and dressed in a similar white shirt as his first court appearance last week, the 48-year-old was brought to the dock to be produced before Westmi-nster magistrates court chief magistrate Emma Arbuthnot and sat behind a glass enclosure as the hearing got underway. Rejecting Modi’s bail plea, Judge Arbuthnot sa-id his attempt to try and seek citizenship of Vanu-atu, an island located in the South Pacific Ocean, shows he was trying to move away from India at an important time. Modi will appear via video link from jail at the next hearing. Earlier, the Crown Prosecution Service, arguing on behalf of Indian authorities, said he should not be granted bail because he posed a significant flight risk and had even issued death threats to witnesses related to his money laundering case. CPS barrister Toby Cadman told Judge Arbuthnot that there was a “substantial risk” that Modi, would flee and attempt to interfere with witnesses and evidence.